Soak up the rest of your summer by checking out some awesome events near Bradenton! Make the short family trip to Sarasota or Venice, FL for quality time and lots of fun. PLUS, most events are free to attend, so you can plan your trip today! Read about several exciting events and activities that everyone will love below. 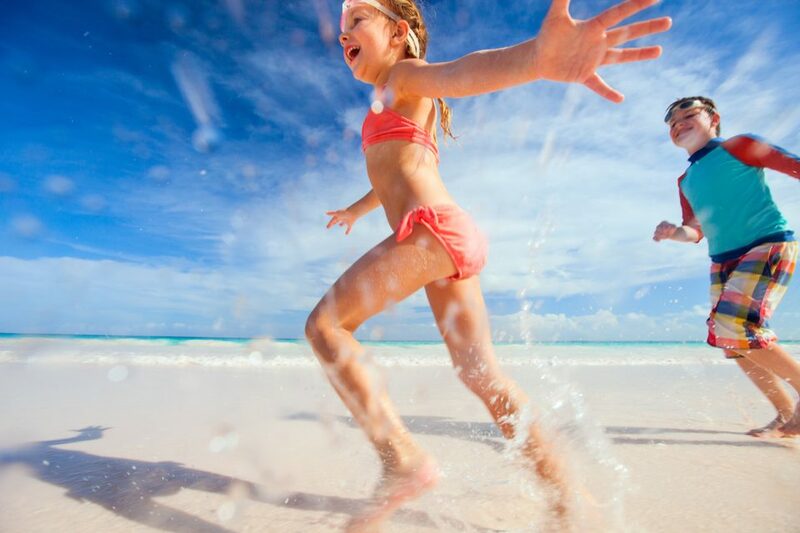 Promote exercise while having a blast when you allow your kids to compete in the Sarasota 1 mile beach runs! The runs will take place at Siesta Beach on Siesta Key. They will be held near the pavilion on August 1st and August 8th. Races will also take place on August 2nd and August 9th at Brohard Beach, next to the fishing pier. Registration at each location will begin at 5:30 PM and the actual race beginning at 6:30 PM. So make your kid feel like a winner when registering for a beach race. Participation awards will be given out along with ice pops! For more information, contact 914-861-5000. The Lakewood Ranch sponsors a Music on Main Street monthly street party for all to enjoy! The parties are from 6 PM-9 PM including plenty of fun activities. Come celebrate with beer, wine, food sales, and more on August 4, 2017. Chairs and dogs are welcome. So plan to attend this month’s street party along with the family. Why not? It’s FREE. Make a road trip to the 2nd-annual tropical fest, Tiki Fest 2017! Have the best time while enjoying live music, Hula dancers, performers, paintings, and more. The whole family will love playing the games; there’s something for everyone to stay entertained! This festival has FREE admission so your family can save money while having a good time. Join in on the fun from Noon-4 PM at Fisherman’s Village in Punta Gorda, Florida. You’ll definitely feel the Hawaiian culture at this year’s Tiki Fest! Make a splash at the “largest party on the water” at AquaPalooza 2017! This year’s festival will be taking place at a sandbar near Jewfish Key, a private island near Longboat Key. Float on with your friends in the waters from 10 AM-4 PM. Don’t miss out on this FREE, unique experience that you’ll never forget. Register today for this awesome event! If you’re a lover of the crafts, then this is the perfect event for you! Don’t miss out on the opportunity to shop for jewelry supplies from vendors all over the country at this year’s show. Come shop for beads, crystals, gems, you name it! Adult admission will be only $4. The show will be taking place at the Sarasota Municipal Auditorium from 10 AM-5 PM. Get crafty this Summer and get your supplies at the Gem, Jewelry & Bead Show in Sarasota! After all the fun, head over to Hendrick Honda Bradenton for all over your vehicle needs. Our staff will gladly assist you in finding the perfect car today!